My experience at the Hebrew University of Jerusalem began in the summer of 2007, when I was at the Lieberman Dormitories at the Givat Ram campus. At that time I was waiting for the fall to start the master’s program at the Applied Physics Department and in the meantime had begun acquainting myself with the campus’s magnificent vista and my new neighbors. Having recently graduated with a bachelor’s degree in physics, I was looking for a good springboard to jump-start my career to the next phase and this turned out to be the program to be in. 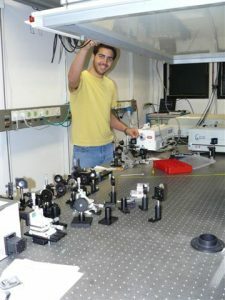 Unlike any other academic institution, the Hebrew University managed to create a unique department by recruiting outstanding faculty with broad technological experience, including a former Ivy League professor, entrepreneurs, top-notched physicists and technological pioneers who are well versed in both worlds of academic and industry. The atmosphere in the department was great and encouraged the exchange of ideas and free discussions. On top of that, as Israel is mainly an informal culture, I was able to get a personal sense of their character and of their scientific attitude; which is very helpful for young aspiring scientists who are eager to grow and develop a healthy and prosperous career. During the program, I decided to pursue an old dream and apply to a Ph.D. program abroad. I wanted to gain international experience and see life abroad, in addition to enhancing my career, with the goal of returning home. As I sought after recommendation letters, one of my professors asked me where I planned to apply. Normally it’s recommended to apply to a dozen places, but I decided to apply to only three top-notch institutions. After sharing my plans, he replied that I should try University of California, San Diego. Two months after I sent my application, I received a message from a well-known professor of that institution, extending an offer to join his group. 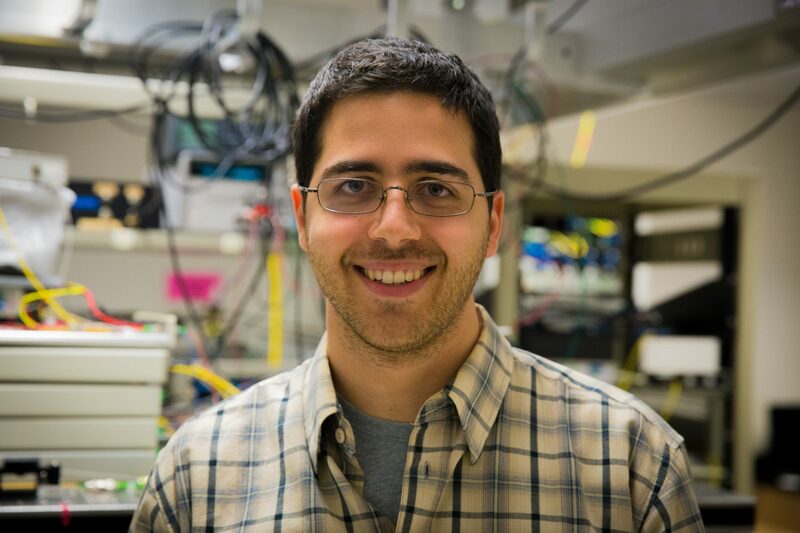 Following that offer, I spent the next five years in the Ph.D. program, performing research on fiber-optics, leading to a successful graduation and even a publication in Science magazine, a leading global journal. During that period I also met my wife, a native San Diegan who is now very much familiar with Israel and has joined me on this great journey. We are currently happily living in Pennsylvania, where I work at a leading technology company, enabling the evolution of the internet. Even though I am currently abroad, I have been maintaining a personal relationship with the faculty of The Hebrew University, through exchanging emails, meeting at international optics conferences in the United States or visiting the campus when I fly to Israel. For me, the Hebrew University is a lasting relationship where I can share my growth, receive advice and enjoy learning about exciting research. I look forward to continuing this connection in the future and watching HU grow.